Established in 1975 by the Scottish Rite Freemasons of the Northern Masonic Jurisdiction, the Scottish Rite Masonic Museum & Library tells the story of Freemasonry and fraternalism in the context of American history. Unique in the nation, the Museum aims to be the “historical society” of American Freemasonry by collecting, preserving, interpreting and celebrating the history of fraternalism. We pay special attention to the history of the Scottish Rite and strive to serve the Masonic community. The Museum’s collection related to American Freemasonry, fraternalism, and American history numbers more than 17,000 objects. The Van Gorden-Williams Library and Archives research collection comprise 60,000 books, 1,600 serial titles and 2,000 cubic feet of archival materials. The Museum also manages an additional 10,000 objects and documents from the collection of the Grand Lodge of Masons in Massachusetts under a long-term loan agreement. The Museum & Library presents changing exhibitions that explore topics related to Freemasonry, fraternalism, the Scottish Rite, and the history of our nation. We also offer lectures, gallery talks, workshops, symposia and other educational programs that foster a deeper appreciation of our exhibitions and American and fraternal history. To learn more about the museum collection, you can view selections from our holdings online. Digitization of the museum and library collections is an ongoing priority. In addition to information on our website, you can also access our curated albums on Flickr. The Van-Gorden Williams Library online catalog presents most of the library’s holdings and a growing number of records for archival collections. We also explore many collection objects and materials on our blog. If you are planning a trip to the Museum & Library, please check the Visits & Tours section for hours and admission information. Your group is welcome too. More information on group visits can be found here. Planning an excursion for your lodge or valley? 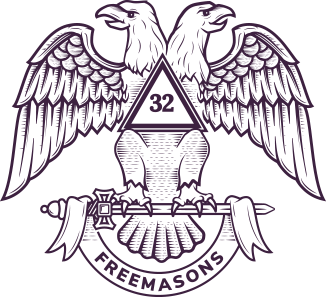 Check here for our special programs for Masonic and fraternal groups. We don’t just make men better. We make men Masons. Join today to be a part of something greater than yourself. You’ll have opportunities to expand upon your knowledge of Masonry, to widen your circle of acquaintances, and to serve humanity in unique ways.